Billions: Real-Life Applications of Scenarios Depicted on the Show – Ep 3. Uniquely situated to offer comprehensive services to registered investment advisers, securities broker-dealers, hedge funds, financial professionals and organizations of all sizes. Pete Decker is a former Axe Capital employee and was being pursued by the Eastern District U.S. Attorney’s office for securities wire fraud and Rhoades saw an opportunity to use Decker to get to Axelrod. To spearhead these efforts, Rhoades traded a case involving an attempted bombing on the statue of liberty for the Decker file from the Eastern District U.S. Attorney’s office. In this episode we learn that while at first Decker was merely accused of insider training by Rhoades, further investigation by the US Attorney’s office uncovered that Decker had used his parents’ accounts (unbeknownst to them) to cover up his acting upon certain pieces of inside information. In typical form, Rhoades approaches Decker at his son’s little league game threatening to arrest Decker’s parents unless he talks. 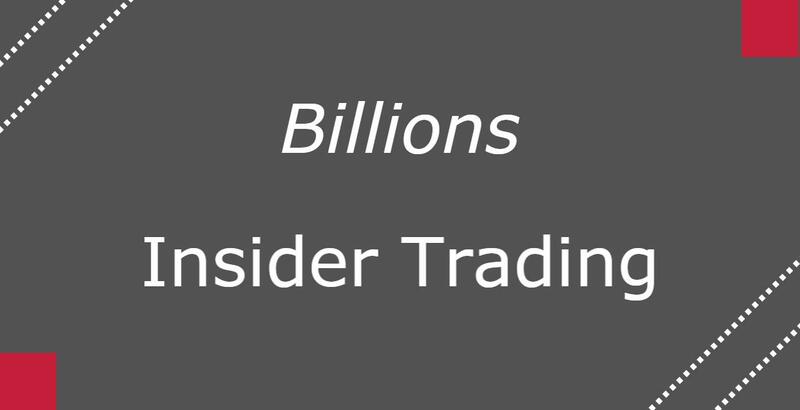 Insider trading is commonly conducted through a relative’s account. During SEC investigations, it is common for the staff to request information relating to accounts belonging to a portfolio manager’s family members. Insider trading is prohibited under federal securities laws and carries with it, severe penalties for individuals and companies that act on inside information. One of the best ways to prevent insider trading is to educate employees on what it is and how to avoid it. Should you suspect that insider trading has occurred, it is important to immediately work with counsel. JLG’s attorneys can guide you through conducting an investigation to interfacing with the regulators (as necessary) and responding to formal investigatory inquiries. For more information, please contact info@jackolg.com or 619.298.2880.